Sometimes I don't feel like dressing up or putting make-up on. It's one of those days when you want to wear an old cozy cardigan, put messy hair in a bun, bundle up in a scarf and go to the park. To mess with fallen leaves there, take a walk along the lake and smile back to friendly passers-by... I'm glad it is still warm outside. You still look so great. Love the scarf & your cardigan. 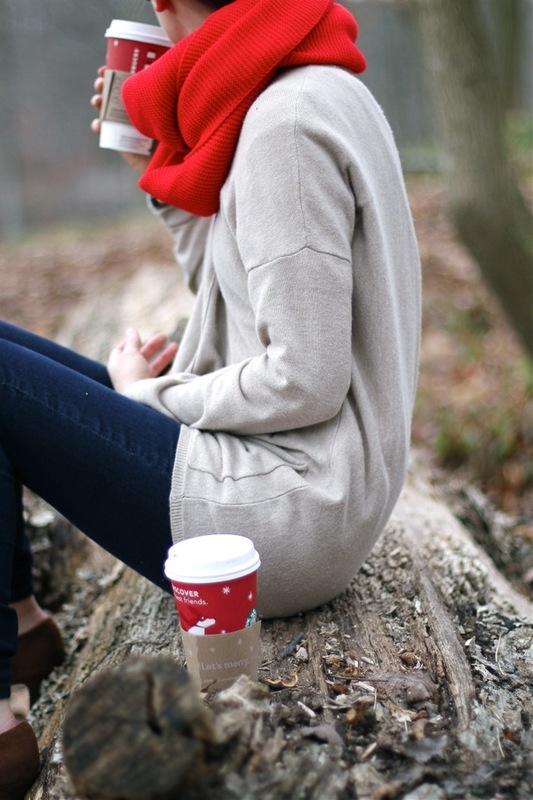 And these pics make me want to take a walk with some starbucks too..
oh so cozy!! I love how effortless you make this look feel. The scarf is a gorgeous color on you and just the right pop with the beige cardi! 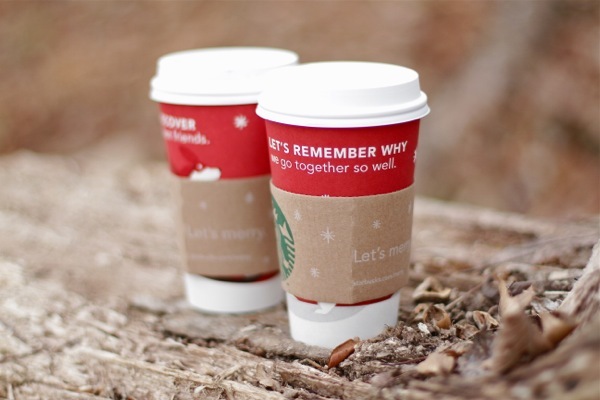 and yuuum...I love holiday drinks! It looks great and sounds even greater:)I read your interview and it helped me practice my russian:)Have a nice weekend! I love your big scarf! I adore huge scarves! Я так рада,что Вы пишете на русском^_^спасибо большое! Such a beautiful winter outfit, love it! I love your blog! Your post always very cute! I love those days when you just go out with the most comfortable clothes and dont care.. You look great as always! 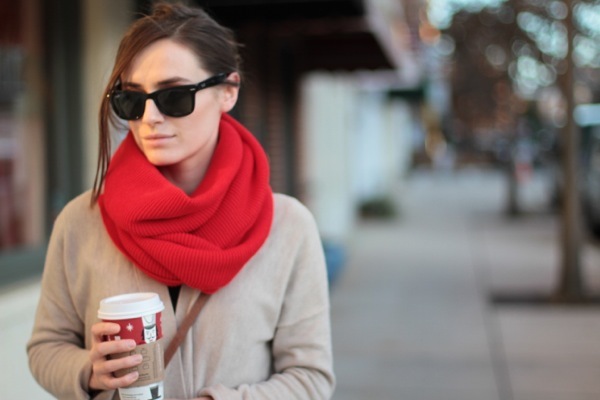 Hmm coffee..
love the snood! perfect holiday color! nice pics!!! you are very beautiful even without make-up... love your scarf, so fab!!! love your blog...following you now..